As is well known, young and able-bodied men from Uzbekistan travel to Russia seeking employment en mass every year. 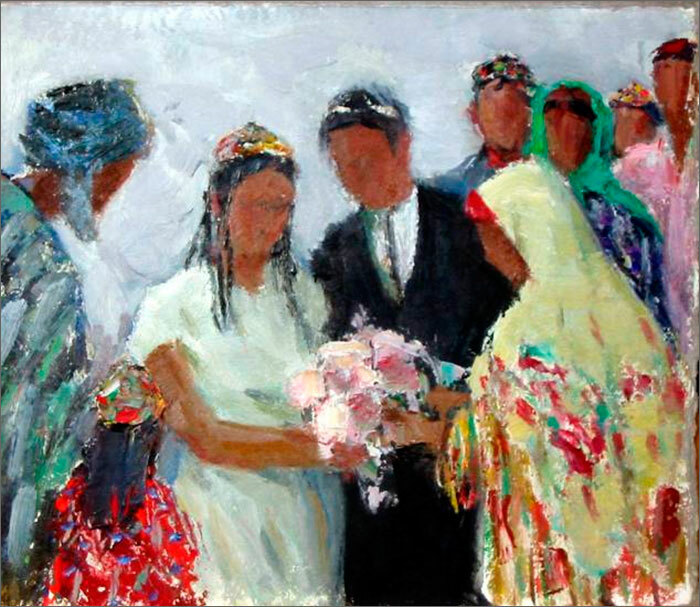 Their absence in the country has somewhat impacted ceremonies of one of the most traditional Uzbek rituals—weddings. For example, for the last several years, young couples willing to join hands and hearts are obliged to pass a thorough medical examination: an HIV test, an examination by a psychiatrist, a drug test, and get a chest X-Ray. If in 2009 and since, many chose to simply bribe doctors for “good results” in order to quickly register the marriage, nowadays, many brides and grooms are serious about these issues and treat a medical examination as an insurance against potential future problems. Brides’ relatives are especially prone to insisting on a medical test of future grooms. 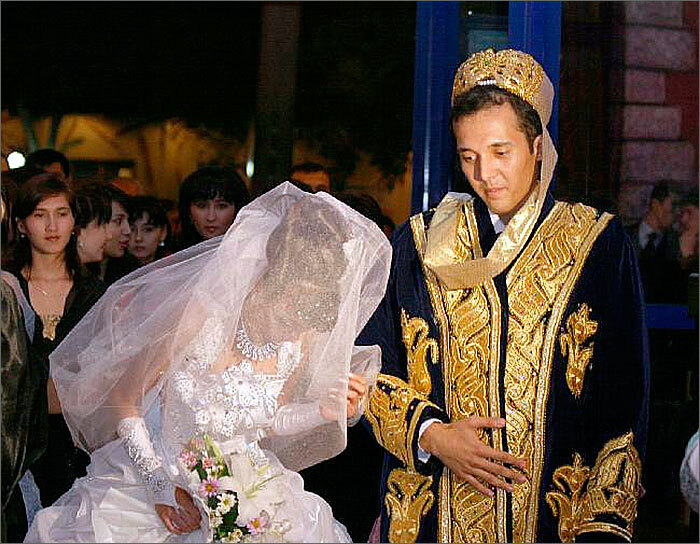 Madina, 23, has recently married a labor migrant, who works in Russia’s Far East. “I was interested in having him undergo a medical test and not avoid it with bribes,” she says. “Young girls here do not have sexual contacts before marriage whereas young men could have intimacy with other women and not be detected. My groom has spent several years in Russia as a labor migrant. And I am completely sure that he had physical intimacy there. Well, it is not safe here [in Uzbekistan]. I have, therefore, insisted he really undergoes the medical test,” Madina says about her case. According to our interlocutor, she and her groom filed an application with the local marriage registrar, where they received a document to take to a medical clinic. “We spent no money on the actual medical examination. We only spent time in line, because there were many young couples there. We have then paid 70,000 soums for registering our marriage,” Madina claims. A Bukhara-based journalist, who was investigating AIDS in Bukhara Region, told Fergana that medical examination findings could result in the cancellation of marriage, should they be positive. While marriage registrars do not refuse to register such couples, they still warn them about potential consequences. “Seventeen soon-to-be couples cancelled marriage plans in Bukhara Region because one of the two was tested AIDS-positive,” the journalist, requesting anonymity, told Fergana. Labor migrants’ weddings are almost identical with other “regular” marriages. The differences are guests from Russia, who are always honored guests at weddings. During congratulatory speeches, they often use Russian nicknames for the newly wed couples such as Masha for Madina, or Sasha for Salakhuddin, etc. 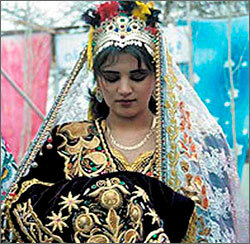 The majority of labor migrants want to have their wedding ceremonies held both in Uzbek and Russian. More and more returning labor migrants prefer professional masters of ceremony who keep guests entertained throughout the wedding. DVDs containing wedding ceremonies are always taken back to Russia. An average wedding with about 300 guests costs the newly wed couples’ parents some 5,000 US dollars: restaurant rent, master of ceremony and band fees, first and second course dishes, several kinds of salads, bride gown rent and photo and video recording. Young couples receive plasma TVs, microwave ovens, carpets and other household appliances in gifts during the wedding ceremony. Sometimes people give money in envelopes as gifts. It is no longer a surprise of a labor migrant return with a Russian wife. Weddings of such couples are no different than those of “regular” couples. It is also no longer a surprise when a returning labor migrant marries an Uzbek woman and then returns to his partner in Russia leaving the Uzbek wife in Uzbekistan. Usually labor migrants return to Uzbekistan late autumn and marry then. Doing so enables them to both marry and recuperate over the winter. They then return to Russia in spring, sometimes with their wife, sometimes leaving them behind. In case a labor migrant cannot afford taking her with himself for whatever reason, the pregnant wife remains at her husband’s house until the next late autumn.